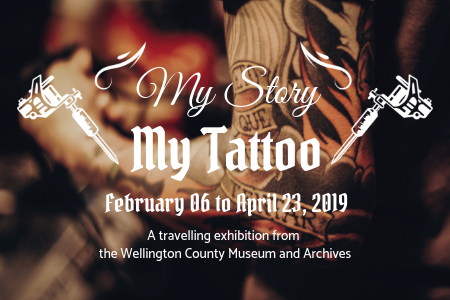 My Story, My Tattoo reveals that tattoos are living images that reveal important stories about residents, communities and the tattoo phenomenon. Participants in the travelling exhibit represent every walk of life – everyone from a cancer survivor to teachers and their students, a firefighter and a farmer. All of the individuals were open and honest, and their stories and personalities are represented through this series of thought-provoking and colourful images. Chris Piccinetti, a Guelph photographer and graphic designer for the County of Wellington, photographed these inspiring images.